I know that most of you visit my blog to read about beauty, so I decided to start a series of mini makeup and skincare reviews, where I quickly introduce you to some new beauty launches. 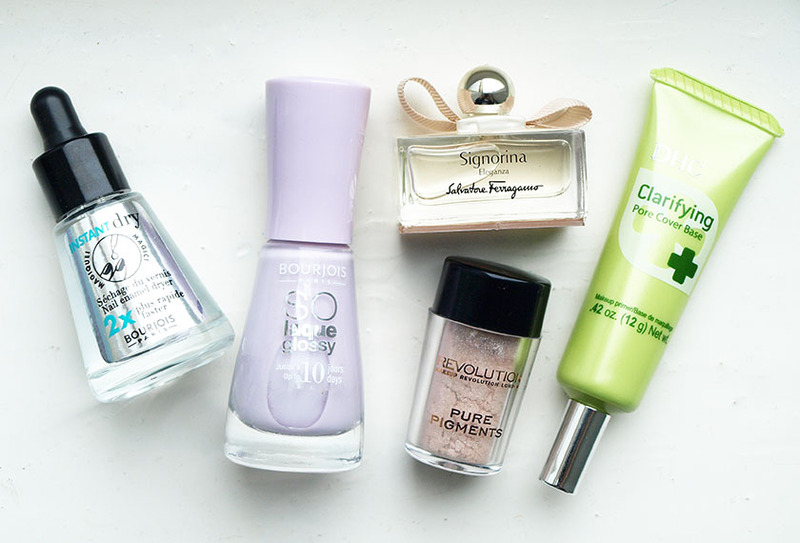 The first one features two new releases from Bourjois, an amazing eyedust from a new budget brand Makeup Revolution, Signorina Eleganza Fragrance and DHC Clarifying Pore Cover Base. 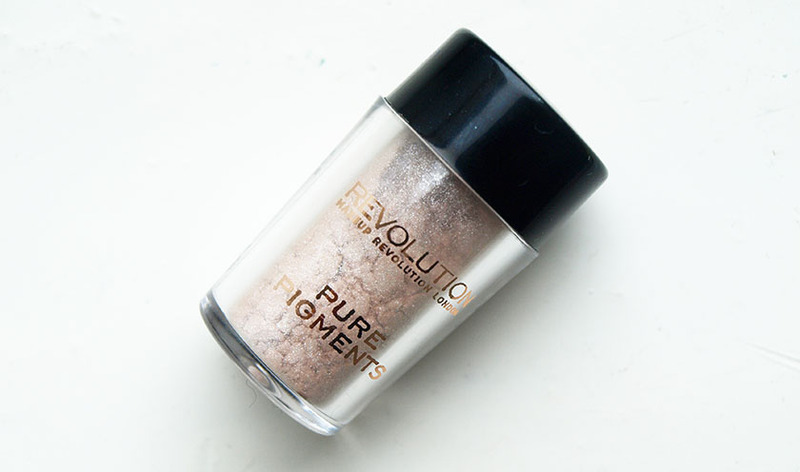 I am not a massive fan of loose pigments, but this one is sooo pretty! It is very similar to MAC's Vanilla, but it comes at a fraction of the price. You can use it as a subtle highlight or build up the colour for an intense brightening effect in the inner corners of your eyes. Stunning! 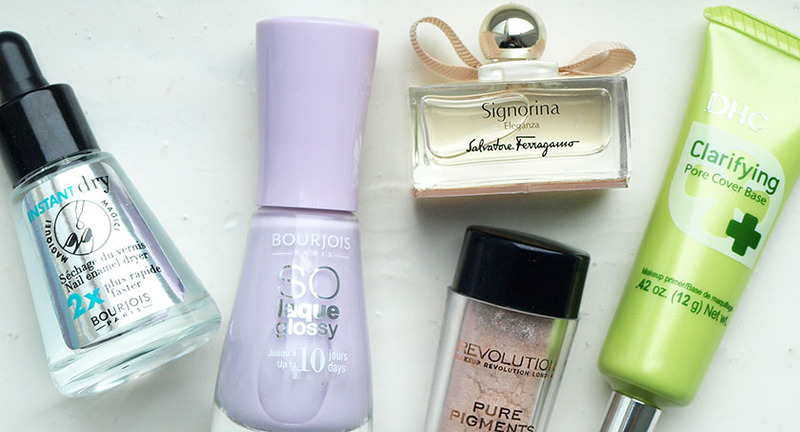 The new pastel addition to Bourjois So Laque! Ultra Shine range couldn't be more perfect for Spring. 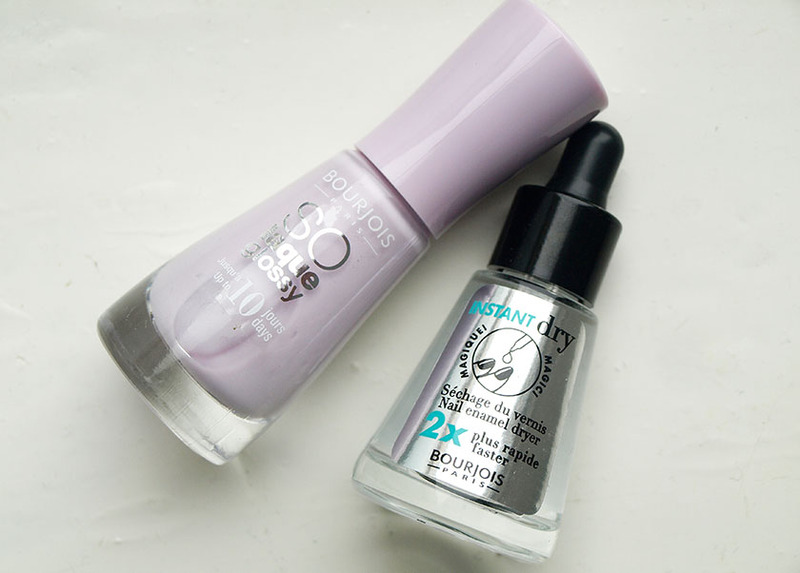 It is a beautiful lilac shade and the formula is a dream to apply. Two coats give opaque coverage and incredible shine! 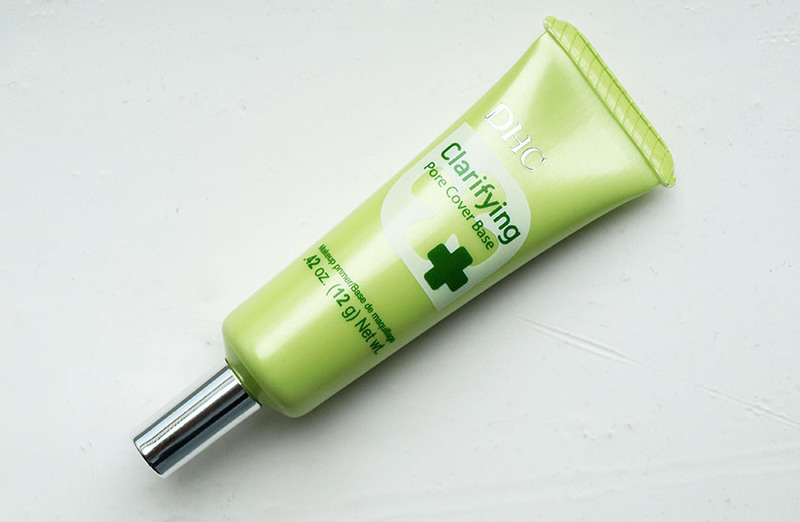 I very rarely skip primer when I do my makeup and I usually go for pore reducing formulas, like The Porefessional. DHC's offering is powder-based with added silicone to help mattify the skin and reduce the appearance of pores and fine lines. It has a light, silky texture and makes my face feel super smooth. It works really well with all kinds of bases (BB & CC Creams, Liquid, Cream and Powder Foundations) and keeps my T-zone shine free all day. I love trying new perfumes and most of them get my approval, but I didn't fall in love with this one. The bottle is gorgeous and the description was very promising, but I think that this scent would be more suitable for mature ladies. Don't get me wrong - it is nice and elegant, but for some reason it smells a bit 'dated' on me. I am not sure how to describe it. 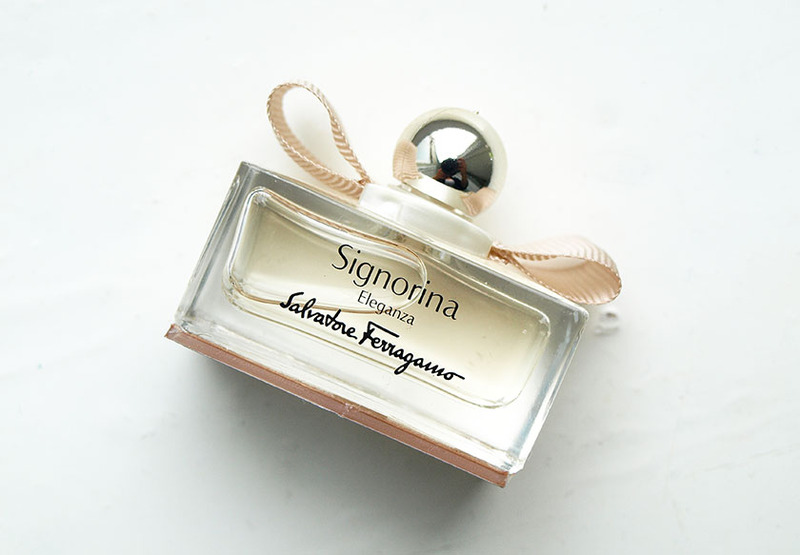 Signorina Eleganza features head notes of grapefruit and pear, heart notes of almond powder and golden osmanthus petals and base notes of patchouli and white leather. It's very feminine and lasts on the skin all day, but it's not something I would buy for myself. Give it a sniff, if you have a chance to see if you like it. I hope you like this new feature. Let me know what you think. It's much easier for me to introduce you to a couple of products in one post, instead of adding multiple blog posts each day. Have you tried any of the new releases mentioned in this post?